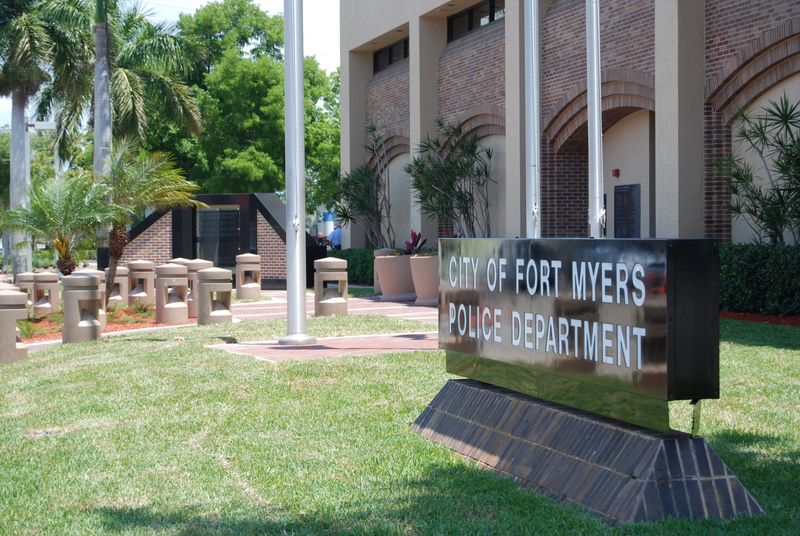 FORT MYERS, Fla. Nate Allen believes an audit highly critical of the Fort Myers Police Department should serve as a community wake-up call. Both men, one whose false arrest led to the other becoming police chief, are uniquely tied to the audit, which detailed deep-seated issues within the police department. The report, which comprised of more than 200 interviews with current and former employees, detailed cronyism, ineffective leadership, corruption and limited resources that damaged the agency’s reputation and hindered its ability to solve crimes. “The interviewees described a culture of failure and defeatism and believed that key stakeholders have often resorted to blaming external forces, like the State Attorney’s Office and the minority community, rather than looking critically within the department in an honest effort to identify solutions,” the audit said. The report was done at the request of City Manager Saeed Kazemi and completed by Freeh Group International Solutions Inc.
Eads believes the report should be read with some grains of salt. Allen’s arrest was featured in the report under a section detailing examples of questionable internal investigations. The Cape Coral native was falsely accused of masturbating in front of a 16-year-old girl in 2015. Although the crime was a misdemeanor, which doesn’t require an arrest, officers were instructed by a supervisor to hold Allen for detectives, the report said. Then-Police Chief Douglas Baker was fired for lying during the internal investigation, claiming he told a captain to release Allen. The call never happened, officials determined. “This case demonstrated the need for a policy that addresses the fact that only the chief can initiate an investigation,” the report said. A lawsuit filed by Allen in 2016, claiming the department violated his fourth and fourteenth amendment rights, said Fort Myers police “created a policy and practice of encouraging its officers to use racial profiling” in making arrests, that officers were not properly trained to investigate crimes and were encouraged to “cover up” wrongful arrests. The report, Allen said, helped him become more aware of alleged police misconduct. Allen said he also thinks about what would’ve happened if things went the other way. While his incident was featured in the report, Allen sees the audit as something bigger than him. Eads, who became interim police chief following Baker’s firing, started as a patrol officer in 1986 and advanced through the ranks. He was captain of the department’s professional standards bureau before being promoted to interim chief. Eads oversaw the department during two major incidents – a shooting during Zombicon that left one dead and multiple injured and a shooting at Club Blu that left two dead and multiple injured. He described the report as one with inaccuracies, more opinions than facts and that it doesn’t reflect the department in the right way. The report was approved by city leaders around same time the Department of Justice offered to do a similar study – something Eads said he wanted. “I think DOJ would have been a fact finding thing where if you are going to make a blanket statement about someone, especially career issues, then you should put your name behind it,” he said. Eads disputed some of the report’s examples of questionable internal affairs investigations. In one case, an officer was fired, although the report said otherwise, he said. The report also criticized the department’s ability to solve cases, which Eads said shouldn’t be solely blamed on the department. “At 3 o’clock in the morning when a group of individuals are out doing no good, there are no good people hanging around to be witnesses,” he said, adding that such is the result of society as a whole. Eads agreed with the report’s narrative that the department changed for the worse following the city’s 2008 budget shortfall, which led to many experienced officers accepting buyouts. It also impacted the department’s ability to operate, he said. This story is the latest in a continuing series about the FMPD audit.